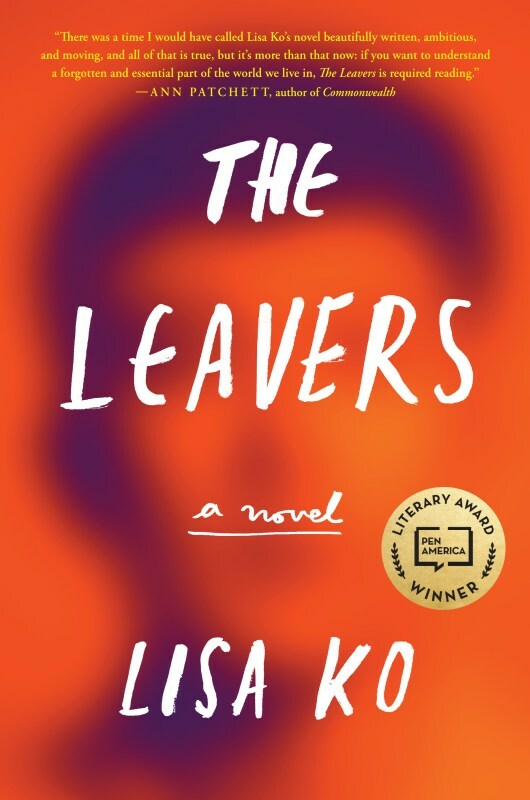 Lisa Ko’s debut novel, The Leavers, follows a mother and son separated by immigration agents, borders, and new families. 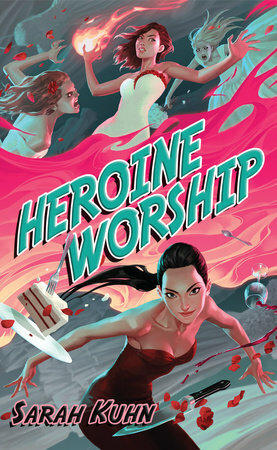 Deming Guo wakes up one day in the Bronx to find that his mother Polly has disappeared. Soon, he is Daniel Wilkinson of upstate New York. We follow Daniel as he struggles through high school, the emotional turmoil of his mom’s abrupt departure, makes a friend who isn’t white, makes a friend who was adopted from China (same but different), and graduates high school. Until he learns some information about his mom’s whereabouts. The novel flits back and forth between Daniel’s story and Polly’s, told from her own perspective. But while we follow Daniel’s story more or less linearly, Polly’s unfolds more circuitously. From her present life in China married to a successful businessman who doesn’t know she ever had a son, we follow Polly’s life backwards and around: Days raising Deming in the Bronx to her life as a child in China, to the terrifying series of events that led to her forced separation from her son unfolding in the very last pages. This is a story about family, about bonds that are broken and reforged. About immigration and injustice. About forgiveness and moving forward. Who are the people who live in between and how will they find their way? Lisa Ko’s two protagonists are deeply human, flawed and enticing, shaped by circumstances often beyond their control, yet seemingly fully aware of the choices they make. In the end, Polly and Deming search for themselves, in each other and in constant turmoil over what kind of life to lead. Parts of The Leavers are truly gripping, stunning in their storytelling arc, in other places, a bit slow, but overall, Ko offers an interesting arc and a truth about our current time. 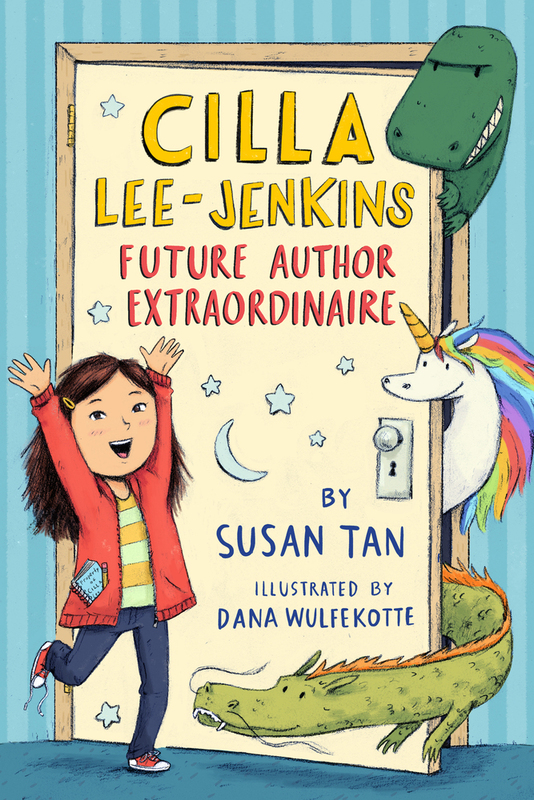 Cilla Lee-Jenkins: Future Author Extraordinaire is the debut novel from author Susan Tan about a spunky and spirited half-white, half-Chinese eight and half year old with grand visions for her future and astute insight into her past. Cilla is our narrator, and this is her memoir–her first step to reaching her destiny as Future Author Extraordinaire. Now I know I’m not the target audience for Cilla Lee-Jenkins (ages 8-12 says her publisher’s website), but I did thoroughly enjoy this book. I laughed and cried along with Cilla, followed her high drama and quiet reflections on growing up, on growing up biracial, and on the potential responsibilities of big sisterhood. It’s just the right mix of Capitalized Indignation and Big Moments. Cilla’s voice is so strong throughout that you get the feeling of her talking. Min Jin Lee’s second novel Pachinko follows several generations of a Korean family living under Japanese colonialism. In the 1930s in a small town in colonial Korea, a young woman named Sunja is abandoned by her wealthy lover, but saved by a young minister who marries her and takes her to Japan. If there can be said to be a central character it is Sunja, though Lee weaves such an intricate tale as to make it hard to pick from the many family members–her two sons, Noa and Mozasu, her sister-in-law Kyunghee, her grandson, Solomon (the opening pages begin briefly with Sunja’s grandparents, to give you a sense of scope). The book comes in at a weighty 485 pages, but I found myself compelled to enter further and further. Delicately drawing out a story about love, loss, identity, and otherness, Lee draws a picture of the travails of being other in a colonial nation, the limitations and possibilities. As their fortunes rise and fall, rise and fall, we seamlessly move through time, exploring a breadth of human nature and resilience. So while not a page-turner of the traditional sort, it is nonetheless enthralling, elegantly revealing layer after layer of possibilities with enormous empathy for this family. And Lee provides a window into a little-discussed population–the Koreans living in Japan in the twentieth-century–that is at once unfamiliar and familiar (see also, this recent New York Times opinion piece on the value of books). Pachinko is well-worth the journey. Shanthi Sekaran’s novel Lucky Boy is the bewitching story of two mothers and their love and expectations for themselves and the one boy each calls their own. Young Solimar Castro Valdez braves the border crossing in pursuit of a better life in California. In the turmoil of the experience, she finds love. At the end of it, she’ll be expecting. Kavya Reddy, already married several years to her husband Rishi, is looking for the next step in life, for something that will make herself complete in her otherwise good Berkeley life. And so she decides to have a baby, to start trying to have a baby. As we jump between the stories of the two women and those who surround them, we become slowly enmeshed in each’s inner turmoil, hopes and dreams, and sense of self. The boy in the title, Ignacio, doesn’t enter the picture as a baby until more than halfway through. Instead, Sekaran focuses on the aspirations of Soli and Kavya — of Soli’s struggles to figure out what life in America looks like as a maid and then nanny to a wealthy Berkeley family, of Kavya’s struggles with fertility and how it affects her marriage. When Soli, who is undocumented, is detained, Ignacio goes into foster care, where he becomes a part of the Reddy family. This second series of dramas occupies the latter half of the story. Sekaran’s novel is enthralling in how her characters are developed, how she explores what it means to be a mother. We feel the pull of imperfect systems, of immigration, foster care, detention, expectation. 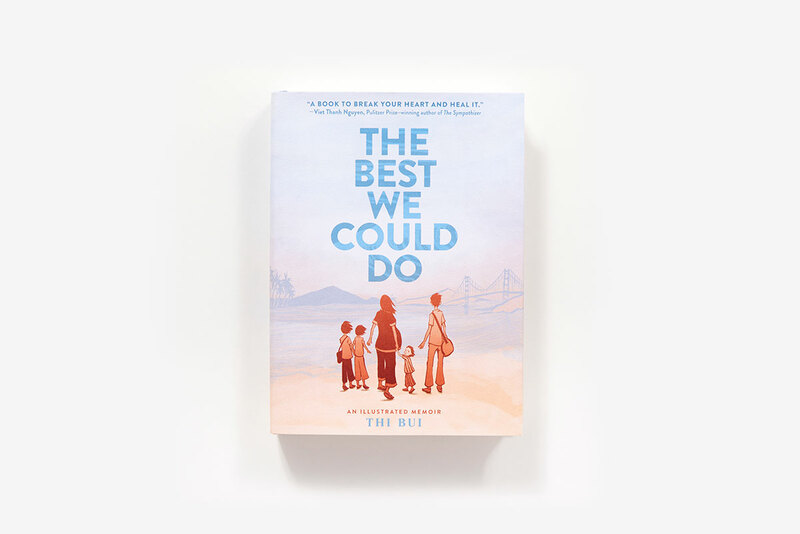 There is palpable hope and equally palpable desperation throughout, for Soli, for Kavya, and even for Kavya’s husband Rishi.What does it mean to love a child? What does it mean to lose a child? Vivid and heart rending, Sekaran’s Lucky Boy asks its readers for thoughtfulness and empathy, and explores the uncharted emotional intersection of undocumented immigrants and foster families. One of the (few) benefits of having teenagers is getting a glimpse of what youth culture is like these days. Given that I myself am decades removed from that time period, I like to compare what I see and hear from them to how it was when I was young. Since my kids and I all grew up in communities full of Asian Americans (unlike John), I have some perspective on how Asian American youth culture has evolved. I was amused to watch the above video by the Fung Brothers on the evolution of Asian American youth culture. I found myself agreeing with some of their observations, while questioning others. Sonya Chung’s newest novel The Loved Ones is an intense look into love, loss, guilt, and reconciliation. Two families who share a last name find their lives intersecting. Charles Lee is the African American father in a biracial family. Hannah Lee is the daughter of Korean immigrants who babysits for his children and is present when a devastating event strikes the family. But The Loved Ones is not a simple linear tale, but rather jumps through time exploring inter-generational experiences and decisions. It is breathtaking to the end. Chung explores desire and responsibility, reconciliation and its absence, race, family, and of course, love. She delves deep into the details that drive her characters, creating moving and nuanced portraits not only of the fulcrum relationship between Charles and Hannah, but of their families as well. Her punctuated writing style is eloquent and enthralling. It’s a novel that’s difficult to summarize, but well worth the read, as much about the beauty and heartbreak of the process as any kind of end or moral. In the Asian ethnoburb where I live, one sees three kinds of buses. One kind is the Santa Clara Valley Transit public transportation bus, and another is the kind is the tech bus, as white Google buses pick people up and drop off every week day near my house. A third kind is the bus that stops at the local Asian shopping center that picks up people to trips, often to casinos. My dad takes buses like this to gamble at distant casinos like Cache Creek – about two hours away from my house. I recently saw this article and was stunned to learn that some Asian Americans from New York, mostly seniors, take a similar two hour casino bus ride for a surprising reason: to make ends meet.